This Pop! 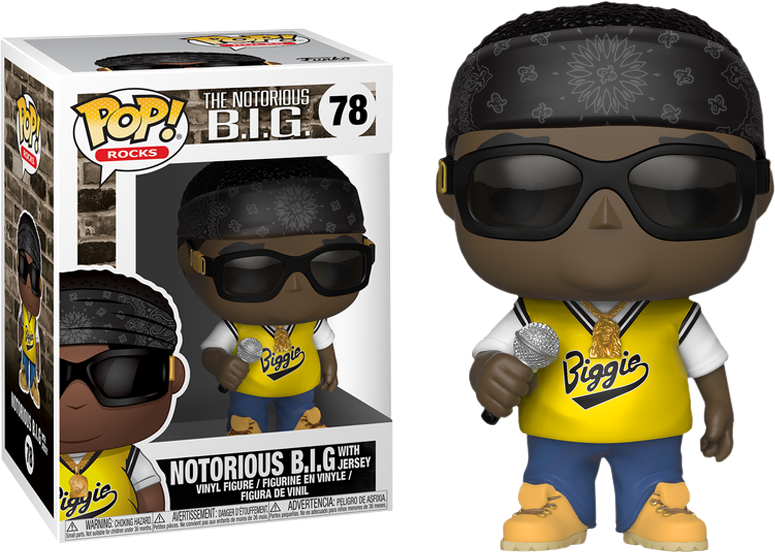 featuring Biggie wearing his iconic yellow jersey, worn in clips such as his hit 'Juicy' from his debut album 'Ready To Die' in 1994. Notorious B.I.G. is one of the most critically acclaimed rappers of our generation, leaving behind a footprint on the music industry that is still felt to this day. We unfortunately lost this talented man in 1997, but thankfully he will now not only live on through his music, but also through Funko’s new Biggie Smalls Pop! Vinyl Figures! This Pop! featuring Biggie wearing his iconic crown, known mostly for The ‘King of New York’ photo taken by Barron Claiborne, which was taken just three days before his murder. The image has gone on to become one of the most iconic music images of all time, making this Pop! 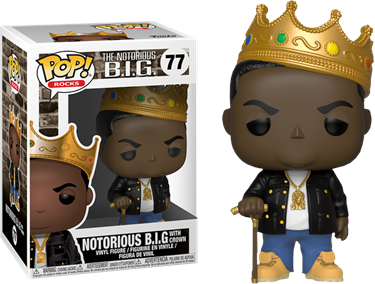 an absolute MUST for any true Notorious B.I.G. fan!